Little Sis loves Miffy so I made a Miffy-inspired bento lunchbox for her today. We spent the day in Oxfordshire as my husband was on a Supercar driving experience. After my children had enjoyed watching him whizzing around the track they were happy to tuck into a fun lunch. 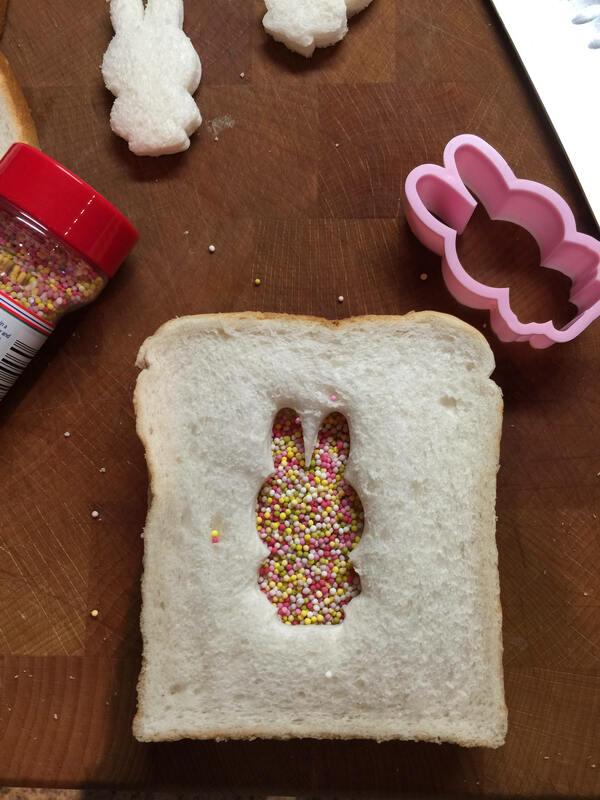 First of all I made special Miffy fairy bread by cutting out a Miffy shape from one piece of bread, making a bread and butter sandwich – my daughter’s favourite – and filling the space with edible sprinkles. It makes for a really pretty sandwich (although I think I will save it for special occasions!). 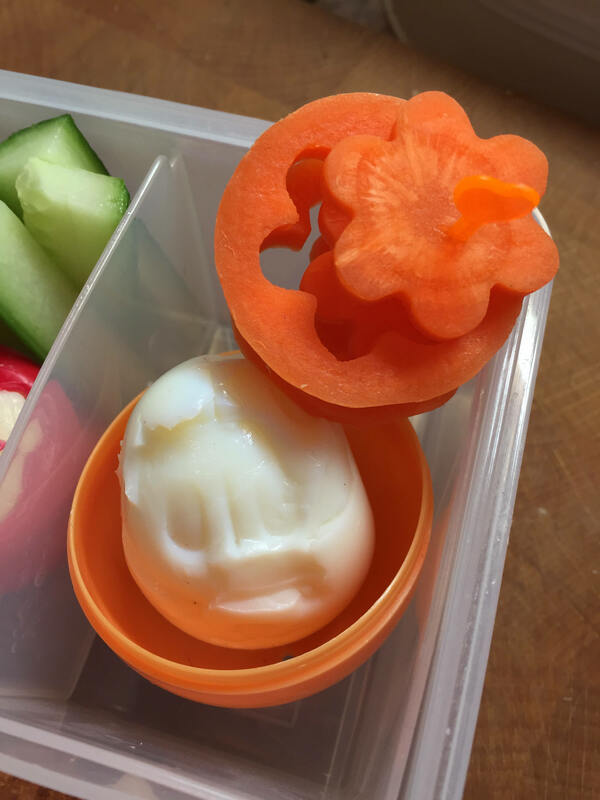 I wanted to see what else I could make around the Miffy theme so I cut some carrot flowers and made a molded egg in my Miffy egg mold. 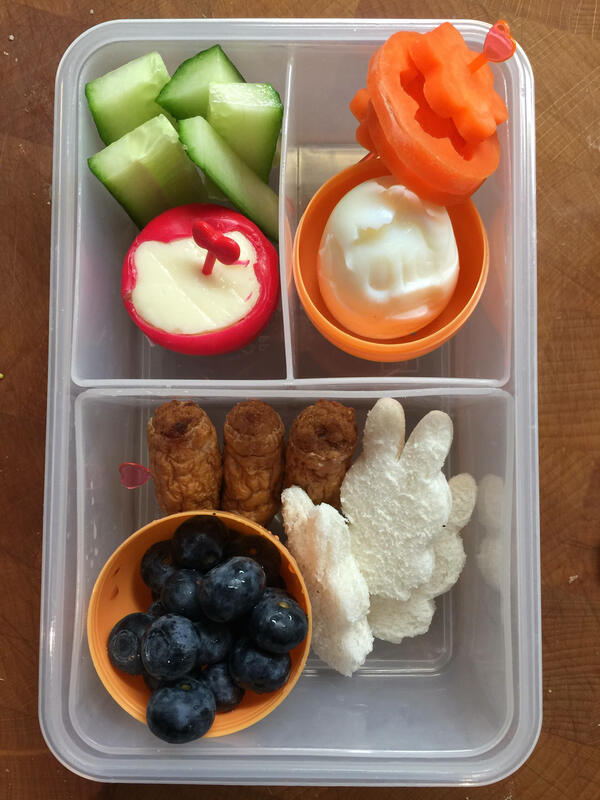 I used a plastic egg to hold some colourful blueberries, added some mini sausages, cucumber sticks and the Miffy bread cut outs. You may notice a rogue Hello Kitty Babybel slipped in too. I know Miffy and Hello Kitty don’t get on but I couldn’t resist. 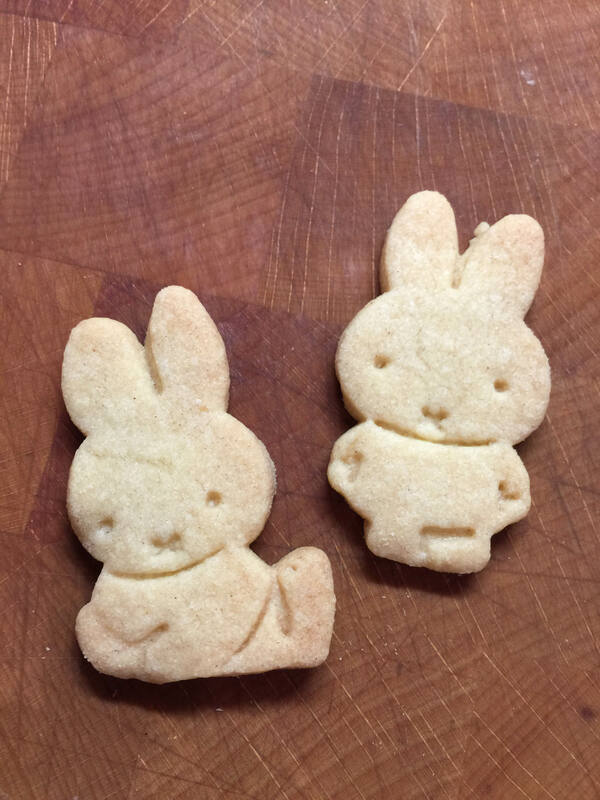 Lunch was finished off with some Miffy biscuits, made by Little Sis yesterday. This Miffy bento lunch was pretty well received from my fussy eating 3 year old. I think this would make a fun Easter themed lunch too so I’m sure Miffy will be making another appearance soon. 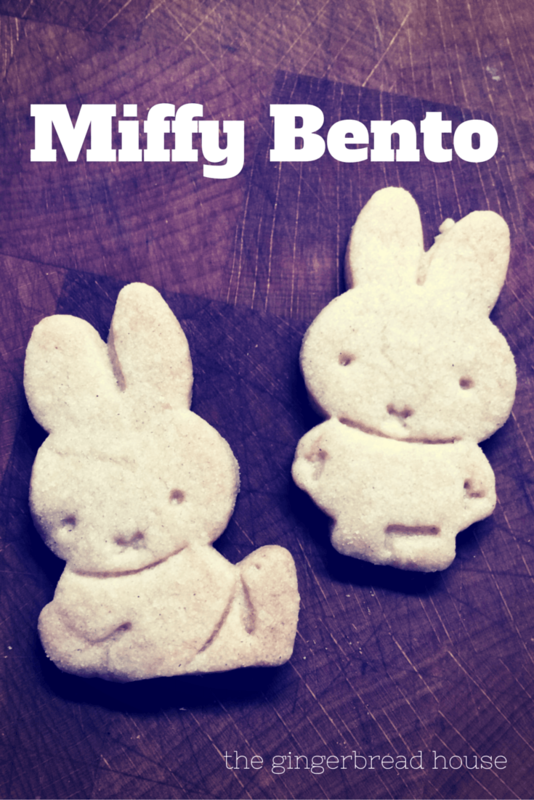 Where do I get a miffy cookie cutter?